Q. You were named the world’s 100 top chefs at the award of the first Chefs World Summit in November 2016, Congratulations! Far and it’s my great plivilege to receive this award. Q.Who else was awarded besides you at ceremony? 99 greater than me chefs. There are a lot of Japanese chefs included. Q.I think you are the only sushi chef awarded as non-Japanese. How do you feel about that? Yes that is true. I would like to thank my teachers at Tokyo Sushi Academy for this. and good education makes it possible to achieve an award like this. Q.I would like to know about your chef career from a beginning. I have heard that you used to be physicist. What made you change your career into restaurant business? It’s true that I studied physics in university. I realized what makes me happy is more of doing Cooking! Q.Do you remember when you ate Sushi for first time? What did you eat? How did you like it? The first sushi I ever tasted was a Tekka-maki (Tuna Sushi Roll), it was good as I recall my memory. Q.What motivated you to learn about Sushi? I love the simplicity and the flavor of sushi and sashimi. I love Japanese style restaurants where food is cooked over the counter style in front of customers. 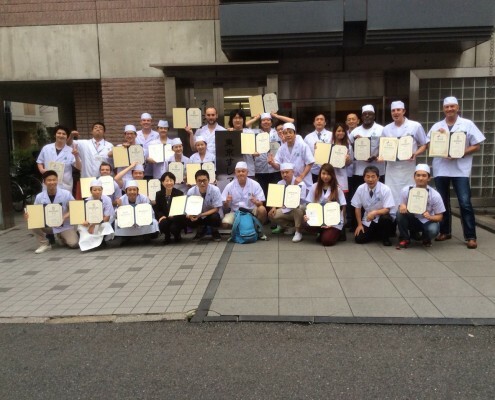 Q.You entered Tokyo Sushi Academy in 2014. Why you choose TSA to learn about Sushi? I spoke with a couple of TSA graduates and endorsed your school. They all told me that your school is really good. Q.What did you learn at Sushi Course? I learned the basics of sushi, everything from the scratch: Rice, filet fish, making nigiri and maki. But the greatest thing I learned was that if I worked hard, I could be a great sushi chef. Q.What is the typical day for you from 9AM to 3PM at TSA? (filleting different fishes, cutting techniques, and making nigiri-sushi). Then the next is practice, every student must do the same as teacher showed us. This is what I felt how difficult it is that something that the sense made fast and easy. Then break for lunch and again theory and exercise in the afternoon. Personally I stayed in class every day for a couple of hours to do more practice after the class. Q.What was your favorite part of the course? Watching and admiring the teachers doing whatever, they are so good and experienced. Q.What was the most challenging part of the whole course? To make 18 nigiri-sushi in 3 minutes! *To pass the grade, students have to make 18 nigiri-sushi in 3 minutes. Q.Where did you stay while you were in Tokyo? In an airbnb room with Japanese roommates at Shinjuku. It was 20 minutes away by walking distance. 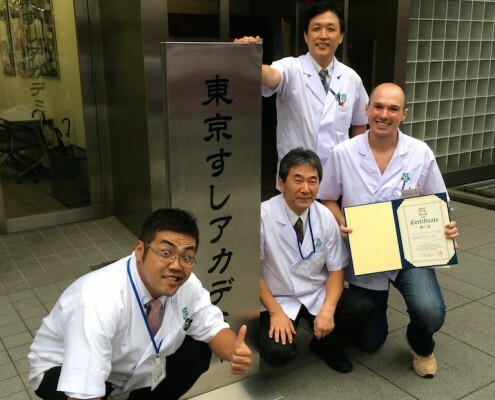 *In 2014, our 8weeks course was held at Shinjuku Head Quarter in Tokyo. Now all English courses are held at our Tsukiji branch. Q.I have seen many photos of Japan in your blog. 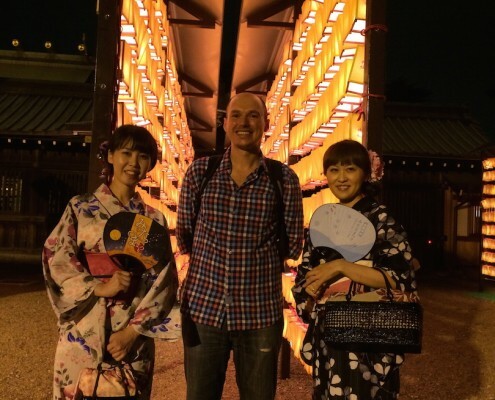 What was the most exciting activity in Japan? You seemed Enjoying a lot besides school. I enjoyed going to Japanese festivals (matsuri). People were celebrating with traditional dance and great street foods. Q.What is the difference before & after entering our school? It’s like difference between black and white. until you start learning from TSA’s sensei(instructor). 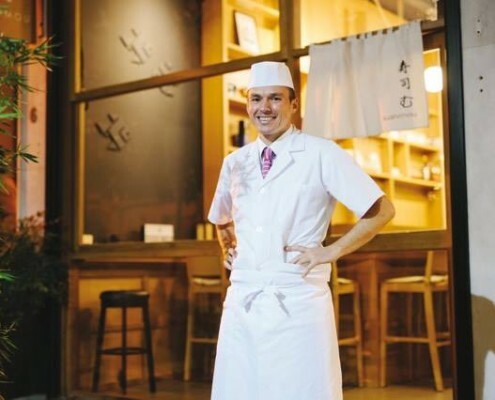 Q.Could you tell us about your sushi chef career story after you graduated our school? It took me about one and a half year until I found a place and opened my own restaurant. I work there ever since. For me this place is like a dream come true having my own restaurant. Q.Please introduce about your restaurant Sushi Mou in Athens, Greece. – only the bar and I make sushi in front of customers. we only serve sashimi, nigiri and chirasi don. Average price for dinner is 50-60 euro per person (drinks included). Q.What kind of Sushi/Japanese Cuisine is popular in Athens for now? 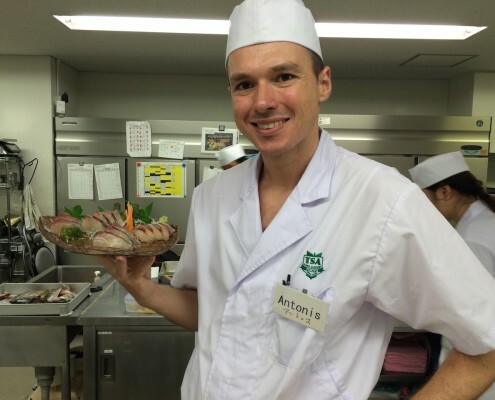 Please tell us the Japanese cuisine market in Athens. “American style fusion sushi” like uramaki rolls with mayonnaise. 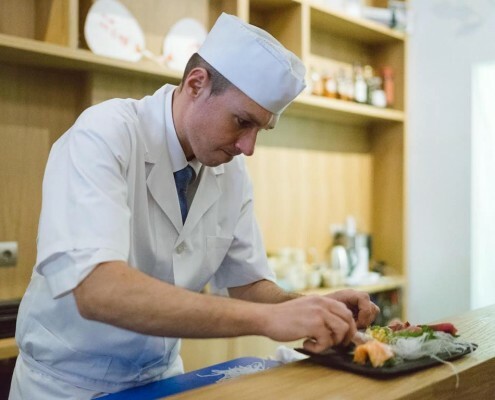 Q.You offer traditional Edomae-style Sushi in Athens. What’s your motivation for Edomae Sushi? 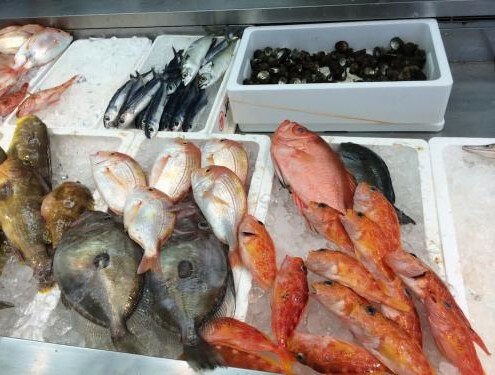 Just like Japan, we have really good sea products in Athens. Only edomae sushi can take advantage of the good quality. Q.Why you offer Okamase style to your guests? We would like to know your Omakase menu. 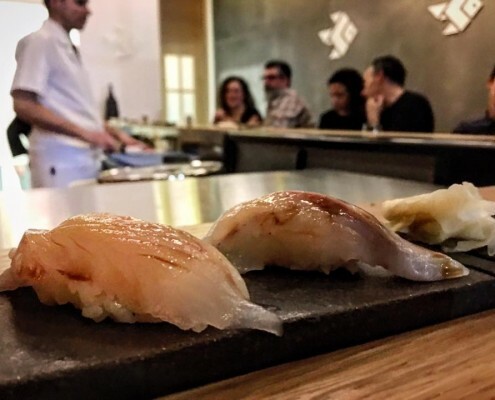 Nine out of ten customers ask for omakase. 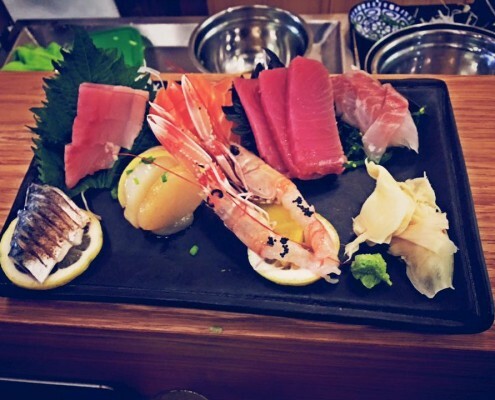 I always serve a big sashimi platter where I put a little bit of every fish I can get that specific day. Then I serve nigiri. After the nigiri, I serve a small chirasi don. Last thing is unagi and miso soup. Q.What’s your most favorite ingredient among omakase dishes? to learn the fundamentals of making sushi, especially edomae-style. With that education and hard work, you can make your career as a sushi chef.